This is the third and final post on the recent influx of images graciously provided by a collector of Francis Quirk's art. 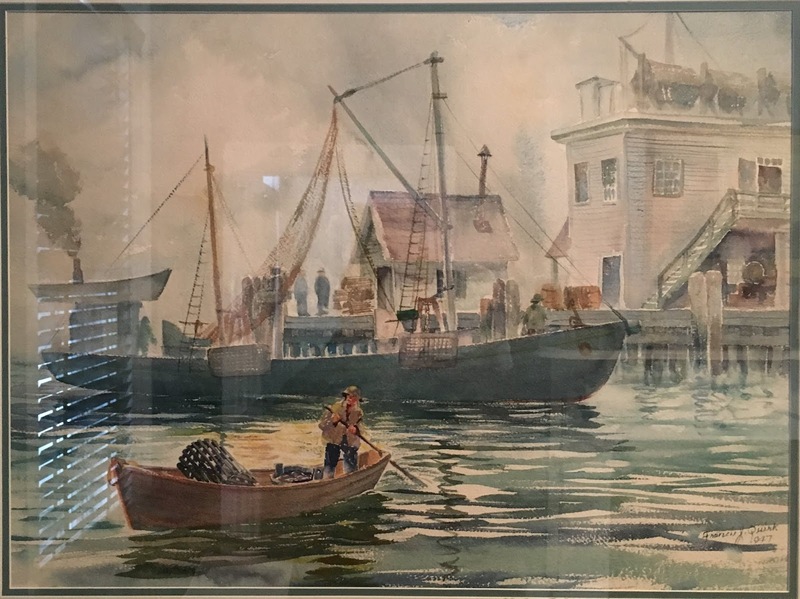 This rather loosely painted watercolor image features a man in a dory containing a lobster trap in the foreground, a fishing trawler as the dominant image and a background of wharf buildings beneath an overcast sky. It was painted in 1937. The content reflects the time when fishing vessels were migrating from sail to engine power and lobster traps were still made of wood. We do not know the location of the port. It probably was near Quirk's Maine home in Kinney Shores, so it could be Kennebunkport or Saco. 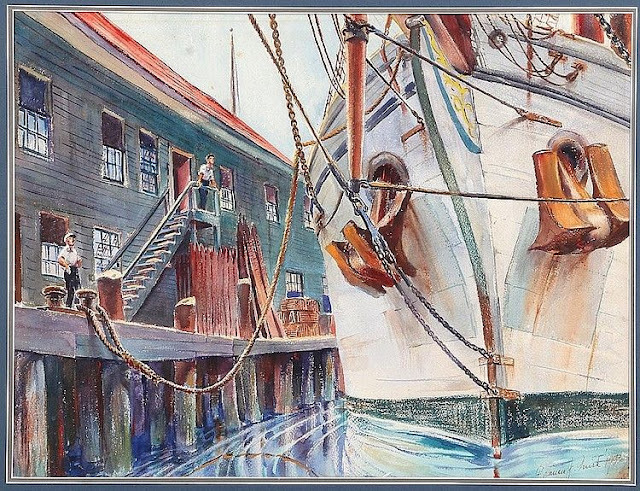 We have seen a building similar to the one at the right of the painting in another Quirk watercolor. while both are gray with an ascending exterior stairway, the roofs and fenestration are different. That painting is shown below.